Granby Toxteth Development Trust: 2015 - The year for wearable, fashionable energy generation? 2015 - The year for wearable, fashionable energy generation? ...and that's not too far from the truth! This year looks set to bring fashion to the fore in the world of renewable energy with wearable technology quickly becoming the new big thing. We've seen mini solar panels attached to outer clothing but now a company in the Netherlands called Solar Fiber have been working on a flexible photovoltaic fibre that converts sunlight energy into electrical energy via a yarn that can be worked into all sorts of fabrics. 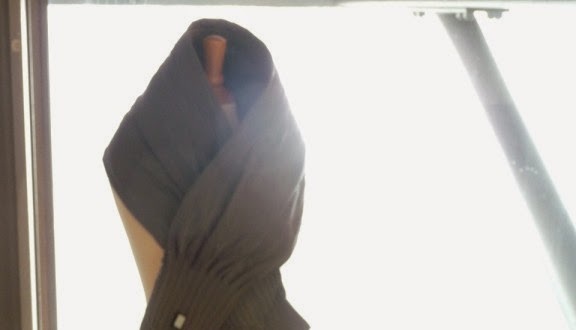 A recently developed solar shawl looks just like any other but if worn in the sunshine for a couple of hours can charge a mobile phone up to 100%...and it'll keep you wrapped up and warm too! Many fashion designers are now considering developing lines using kinetic energy, where movement generates energy. 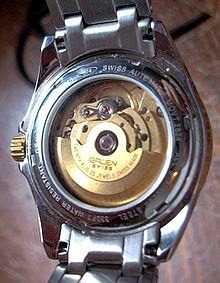 This idea is not new - an automatic or self-winding watch is a mechanical watch within which the mainspring is wound automatically as a result of natural motion of the wearer's arm, to provide energy to run the watch, making manual winding unnecessary. This technology could be used in exercise and fitness clothing to harness energy which can be generated by the wearer's movements. This could be used to power a pedometer, or a heartrate monitor, for example. The L8 Living Sustainably team are working with the Liverpool School of Art and Design at Liverpool John Moores University to look at wearable technologies and possible projects for the team - watch this space for news in the next couple of weeks!